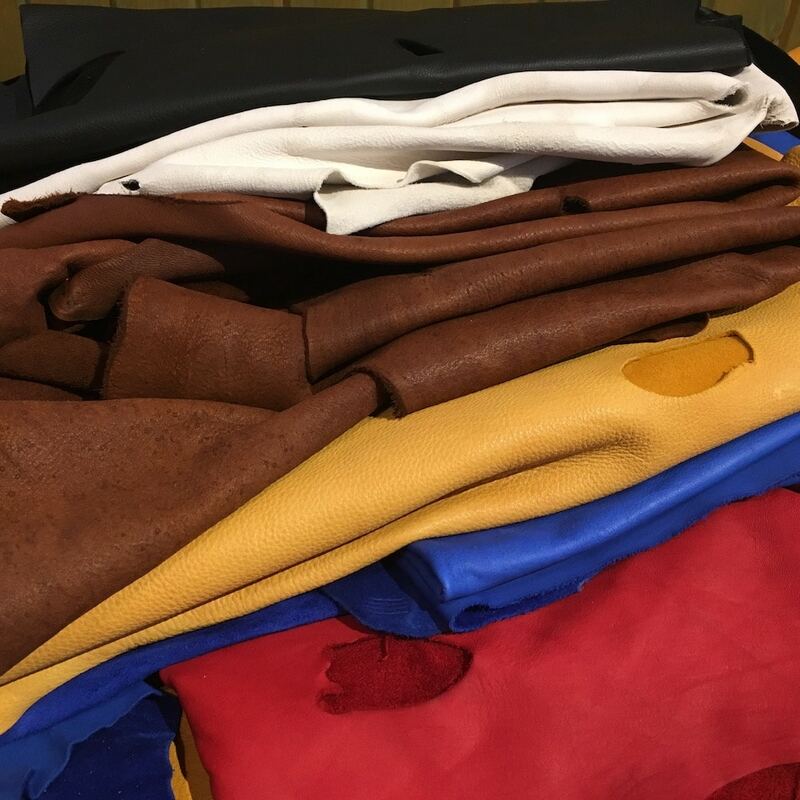 As we go through the year working with our leather in each bundle there are a couple pieces that aren’t perfect. We have been putting them aside for a while and are now offering them as part of our “discount bin”. Feel free to check back regularly as the supply will change. These pieces will all be useable, but might have a problem on the grain side or a few holes. As long as you are flexible they are very reasonably priced. 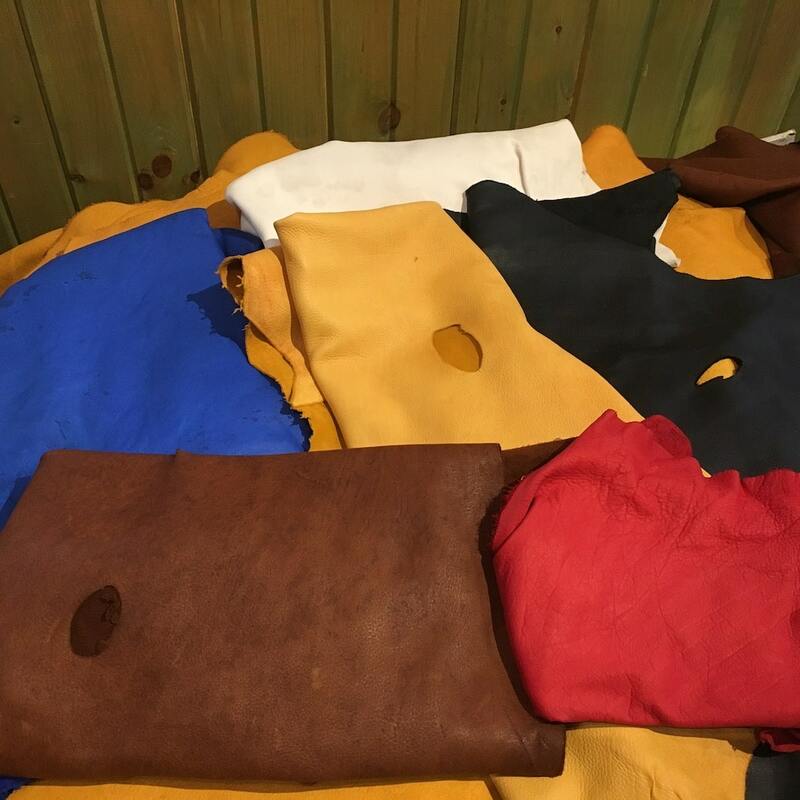 As we go through the year working with our leather in each bundle there are a couple pieces that aren’t perfect. We have been putting them aside for a while and are now offering them as part of our “discount bin”. Feel free to check back regularly as the supply will change. These pieces will all be useable, but might have a problem on the grain side or a few holes. As long as you are flexible they are very reasonably priced. In the list….the Colour leather is all “deer tanned” cow (the suede side is all perfect…the grain side has a few imperfections). 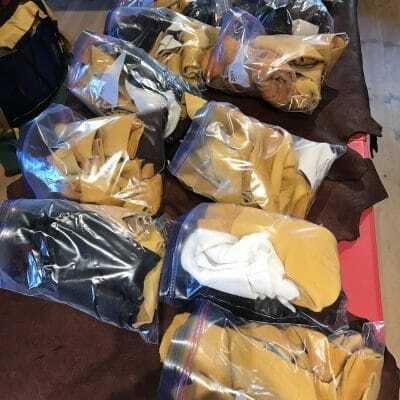 Moose gold, black and cork all have a hole or two, and grain isn’t perfect…suede is fine. White Split deer are 1 1/2 ounce (very thin) suede both sides. 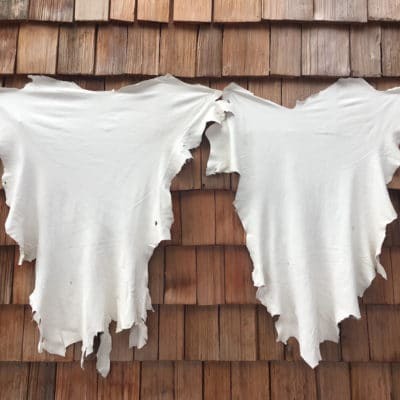 VERY nice hides great for crafting etc. 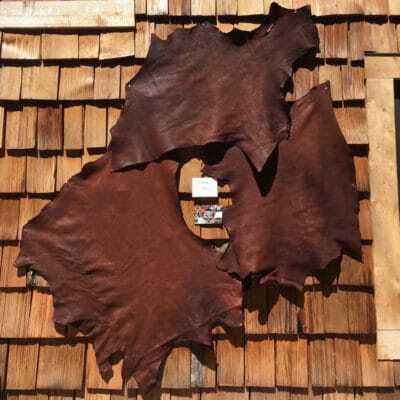 Cow split leather are smaller pieces of suede both sides, that is very cheap….$1 per sq ft. (sold by bundle of 25 sq ft). 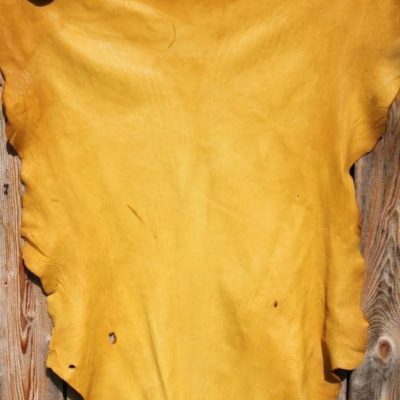 For crafting all of this leather is very useful.